Since the original iPhone’s debut in 2007, Apple’s iOS devices have made use of an Apple-built Google Maps application to provide users with a quick glance at driving directions, traffic, route guidance, current location information, and details about destinations. Like with most sections of Apple’s business, the company is continually innovating, looking to take products to the next level. 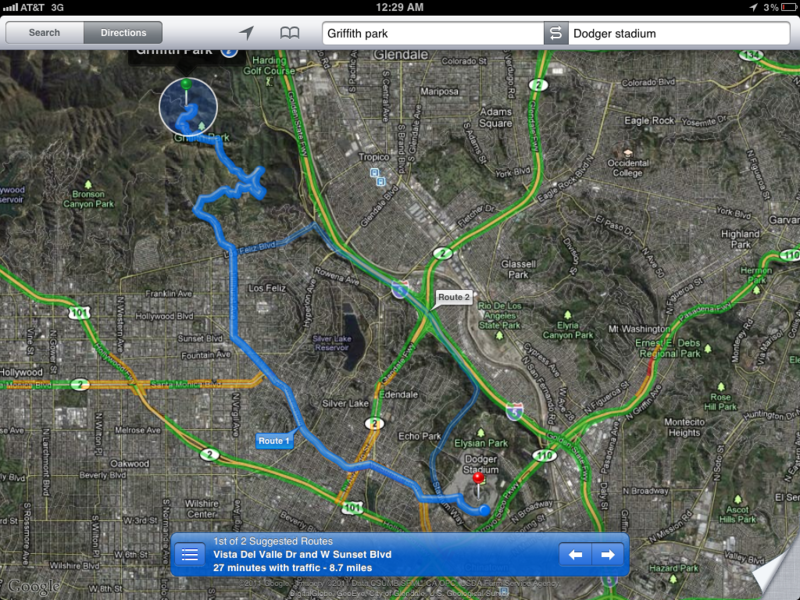 A few years ago, Apple set out to seemingly reinvent this iOS mapping experience. As 9to5Mac reported in 2009, Apple scooped up their own mapping software development company called Placebase. In the summer of last year, Apple went one step further in their obvious pursuit of a completely in-house mapping solution and acquired a 3D mapping firm called Poly9. Apple’s Poly9 purchase obviously means Apple is at least interested in (or considering) the field of three-dimensional mapping solutions. We’ve now confirmed that Apple has purchased a second 3D mapping company. In August of this year it was discovered that 3D mapping company C3 Technologies had been purchased and shut down by its buyer. While there was no true evidence for this, there was speculation that Apple could be one of a handful of companies that could be the buyers of C3 Technologies. Sure enough, we have now learned Apple is now the owner of C3 Technologies. Sources say that C3 Technologies CEO Mattias Astrom, C3 Technologies CFO Kjell Cederstrand, and lead C3 Technologies Product Manager Ludvig Emgard are now working within Apple’s iOS division. The leading trio, along with most of the former C3 Technologies team, is still working as a team in Sweden (interestingly, the division is now called “Sputnik”), where the C3 Technologies company was located prior to the Apple acquisition. What does C3 Technologies do? C3 Technologies is the leading provider of 3D mapping solutions, offering photo-realistic models of the world for search, navigation and geographic information systems. Since 2007 when it was spun out of the aerospace and defense company Saab AB, venture-backed C3 has redefined mapping by applying previously classified image processing technology to the development of 3D maps as a platform for new social and commercial applications. The Sweden-based company’s automated software and advanced algorithms enable C3 to rapidly assemble extremely precise 3D models, and seamlessly integrate them with traditional 2D maps, satellite images, street level photography and user generated images, that together are forever changing how people use maps and explore the world. iOS Maps in the third dimension. Typically, when Apple purchases a company – which they do not do as nearly as often as competitors like Google – they have a clear goal in mind, and tend to take the best elements of their purchase and make it into their own creation. The latest example of this would be Apple’s purchase of Siri: Apple scooped up the company behind the popular iPhone application and pushed out the iPhone 4S with Siri voice technology a little over a year later. With this in mind, what will the future of Apple’s mapping services look like? We already know that Apple has its eyes set on reinventing their maps solution, and with Placebase being a part of the corporation, moving completely away from Google seems inevitable. Apple – with the speedy custom made chips (A4, A5) in the latest round of iOS devices – could make their mobile mapping solution the best in the world with C3 Technologies’ 3D mapping technology. C3’s solutions are so powerful and remarkble, and would truly transform Apple’s basic Google Maps application into something entirely new, fun, and powerful. Rebranding: Although Apple and Google signed a deal to extend the use of Google Maps in iOS, Apple’s purchase of Placebase is a clear indicator that Apple is looking to split from Google’s backend control at some point in the near future. Placebase could potentially replace the entire Google backend, allowing Apple to completely market iOS Maps as an end-to-end solution from the Cupertino-based company. 3D: With Apple’s aquisitions of both C3 Technologies and Poly9, we think it is very likely that the future of iOS Maps will include a third-dimension. Traffic: Apple has gone on the record to say that they are working on an improved traffic service for end-users. The service is crowd-sourced and is another indicator of Apple moving away from Google in their iOS mapping services as Google currently supplies iOS Map’s traffic data. We’re not expecting anything big in the immediate future but we’d be surprised to see the same old Maps program in iOS 6. Expect something much much bigger.